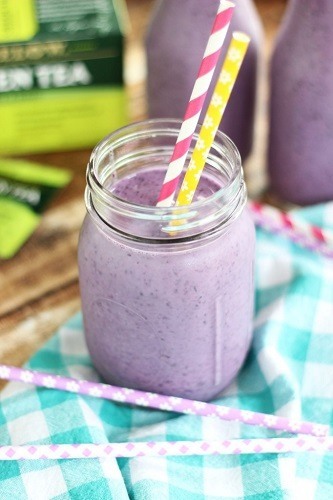 If you want to give your green tea an extra nutrition boost then use it in a healthy smoothie. Yep, instead of using water or other liquid in your smoothies just use the green tea that you brewed. 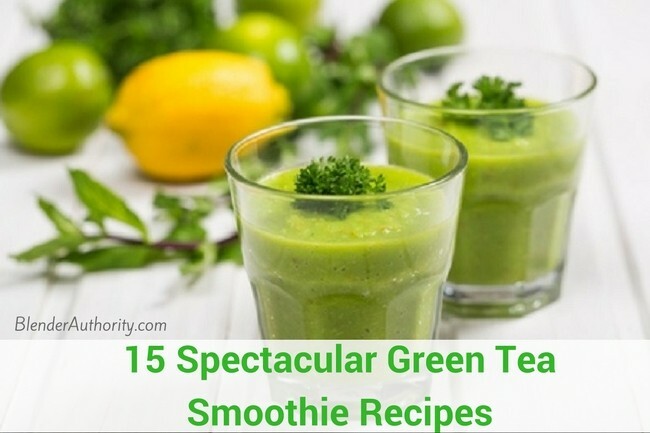 Many green tea smoothie recipes will talk about detox and weight loss so the ingredients in these recipes will vary quite a bit. 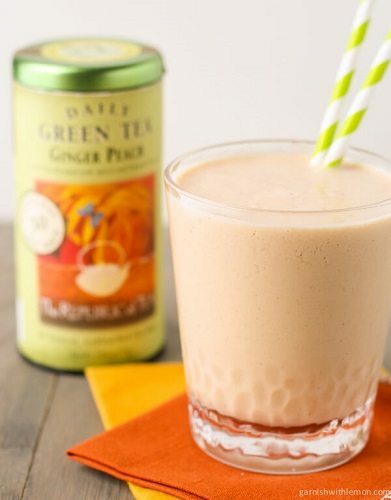 Below are 15 delicious, healthy green tea smoothie recipes to get you inspired. 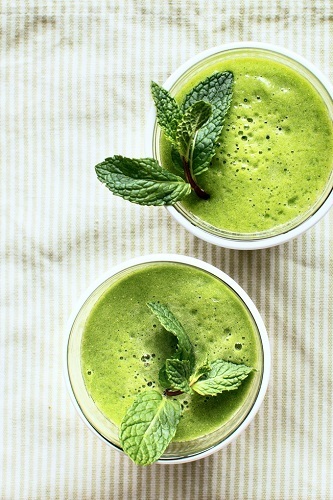 Some green tea smoothie recipes will substitute Matcha power for brewed green tea. Matcha literally means “powered tea” because they grind the entire tea leaf into a fine powder. The difference in using Matcha is you are getting the entire leaf vs green tea discards the leaves after brewing. Matcha is considered to have higher levels of key antioxidants like EGCG than steeped green tea so it is a great alternative(6). You can either mix the Matcha green tea powder with hot water or just add the raw Matcha powder to your smoothie. Keep in mind that Matcha quality can vary greatly and can have other ingredients in it like sweeteners. Quality, pure Matcha is expensive so if you find a cheap brand then “buyer beware”. Also, lab tests have shown there are higher levels of lead in some Matcha because it uses the whole leaf vs brewed green tea so only buy reputable Matcha brands. (7) Generally, tea grown in China was shown to have higher levels of lead versus matcha grown in Japan. 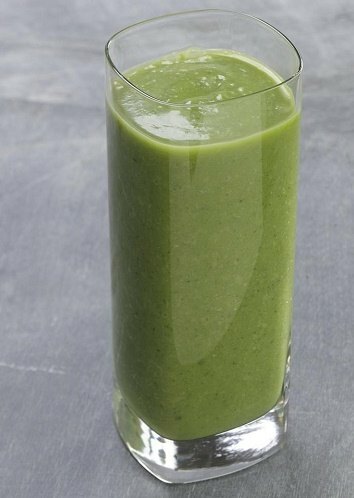 A great, simple green tea smoothie recipe that uses banana and green grapes for taste and spinach for greens. 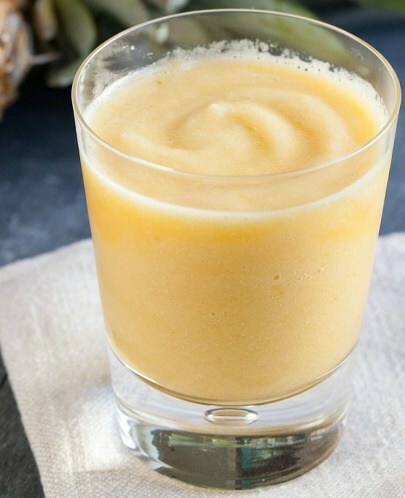 A fun, refreshing green tea smoothie recipe that uses pineapple and pears for sweetness. I like the use of ginger and mint to give it a little lift. 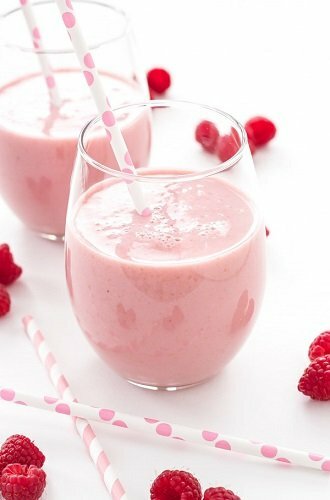 Raspberry, yum. 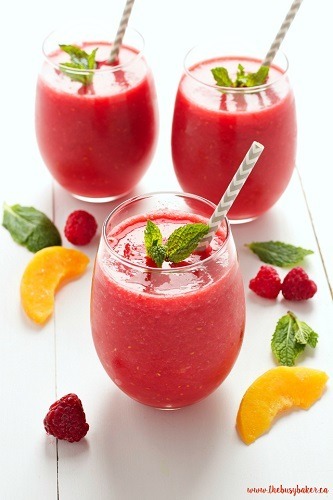 A great tasting smoothie in the morning. You can always substitute the raspberries for strawberry or frozen mixed berries if raspberries aren’t in season. Throw in some nuts or superfoods for extra nutrition and protein. This is a delicious green tea smoothie recipe packed with nutrition through the use of avocado, spinach, and banana. I especially love the use of turmeric which of one of the most beneficial herbs on the planet. 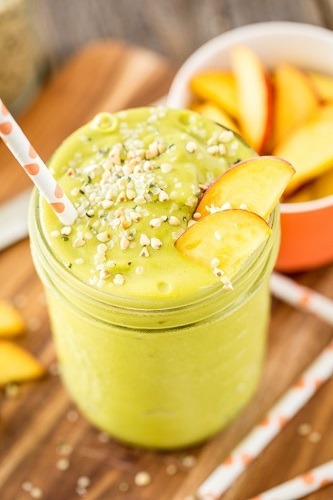 A tropical green tea smoothie recipe that mixes the sweetness of peaches and mangos with the earthy taste of green tea and maca. This is a very nutrient dense recipe that could work as a meal replacement since it yses hemp and buckwheat. 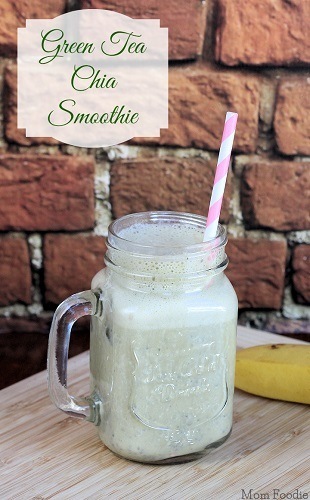 A simple traditional fruit smoothie recipe that uses Green tea. I would suggest adding in a cup of kale of spinach to to make it a green smoothie. The berries and green tea in this recipe will give you a health dose of antioxidants. This is a simple recipe that shows you how easy it is to make a smoothie. Made with protein powder it will work as a meal replacement. 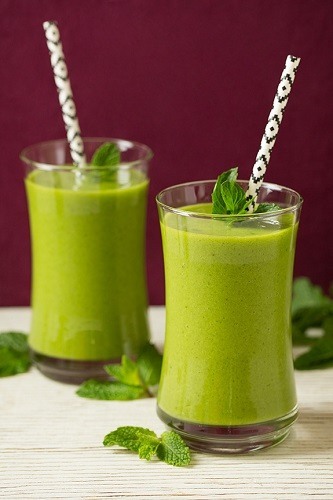 A rich blend of bananas and mango with spinach and mint make this a wonderful health green smoothie. The additional of green tea and lemon juice give it a nice boost of antioxidants. The creamy texture from almond milk and banana with the nutrient dense use of Chia give this green tea smoothie a good balance. A simple recipe to make in the morning for a breakfast smoothie. 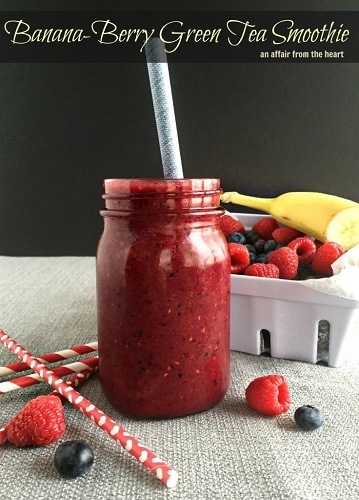 Simple fruit-only smoothie that could easily be turned into a green smoothie by adding a cup of spinach. Add some nuts or flaxeed for protein. 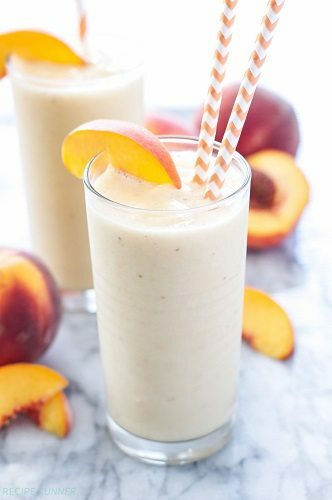 This delicious recipe is another green tea smoothie with peaches. A rich texture with a sweet taste from the vanilla extract. 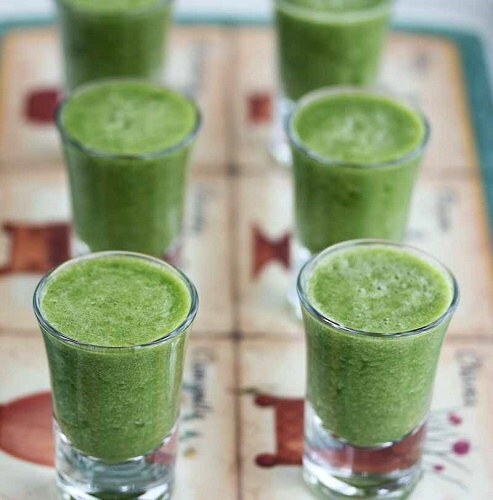 A traditional green smoothie smoothie recipe with the added detox benefits of green tea and lemon juice. This recipe blends the creaminess of avocado and pears with the nutrient dense benefits of kale. Uses cayenne pepper for that extra kick. 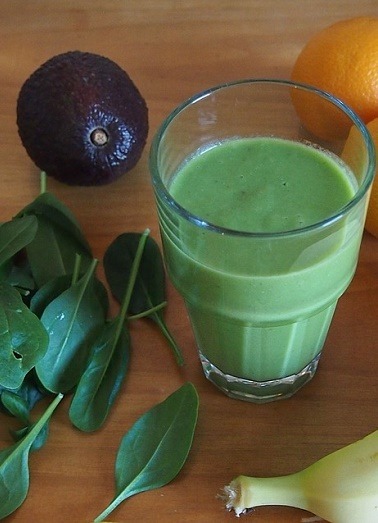 A tasty, simple green tea smoothie that uses grapes, spinach, green tea, avocado and honey. You can substitute kiwi fruit for grapes and add in unflavored greek yogurt for extra protein. 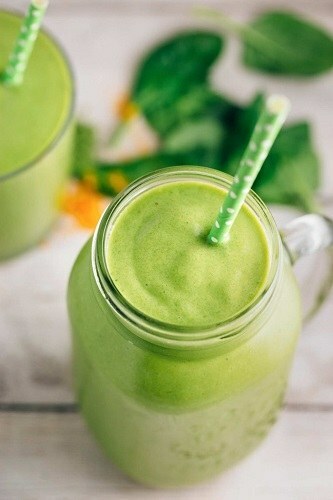 A nice tasting green tea smoothie. You can thicken it up with a sweet banana. Add some quinoa, oats, or flaxseed for extra nutrition and thickening. If any of the recipes don’t list the nutrition information, you can put the ingredients into a recipe analyzer to calculate it for you. Do you drink any green tea smoothies ? 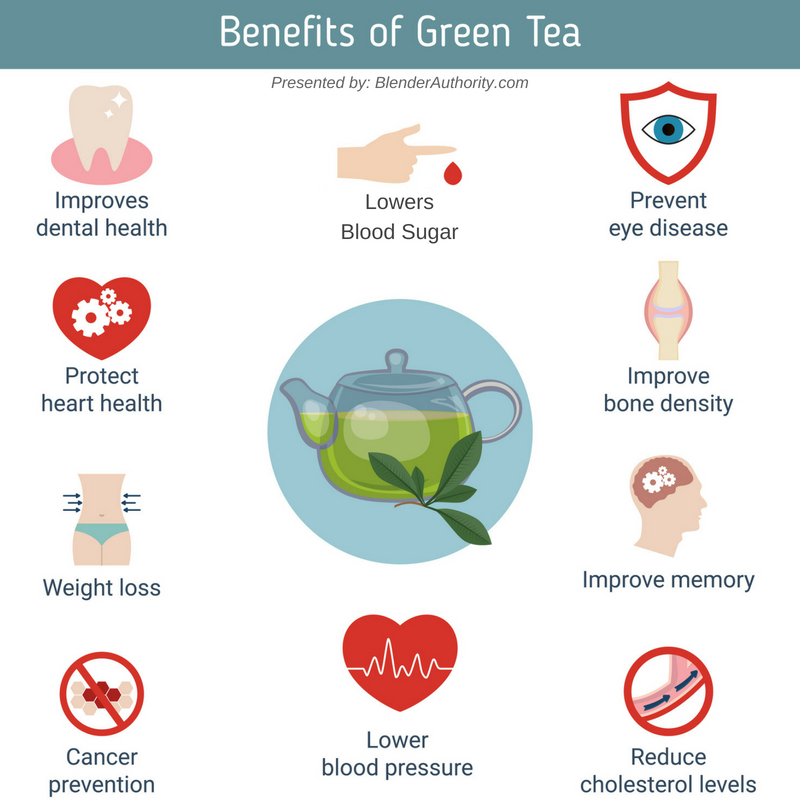 What is your favorite recipe or green tea brand? 15 Delicious and Simple Green Tea Smoothie recipes for better health and weight loss. Can also use Matcha Green Tea with these recipes. Do Green Smoothie Cleanse Diets Work ?